Vanderbilt Libraries’ digital scholarship workshops have the potential to go global in real time, thanks to one of the new apps that let people share and watch live video streams direct from a smartphone or tablet. The library is using the Periscope app, which was publicly launched in 2015 after acquisition by Twitter, for experimental live broadcasts of programs. The March 16 educational technology talk by Robbie K. Melton was also broadcast using Periscope, according to Clifford Anderson, director for scholarly communications. “Content on Periscope is available for only a limited amount of time before it disappears, so the videos feel more like an immediate and transitory look at what is happening, rather than a full-blown archival production,” Anderson said. 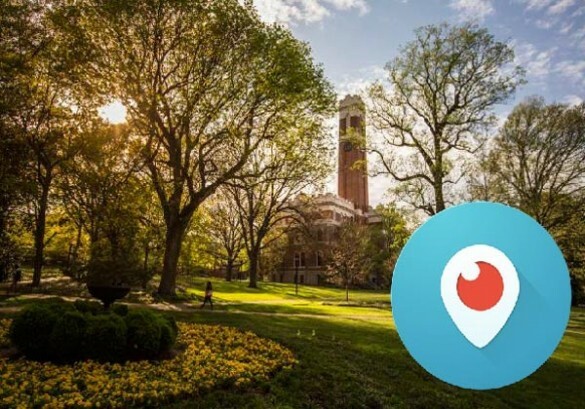 He noted the library is exploring ways to broaden the university’s use of Periscope for educational events. 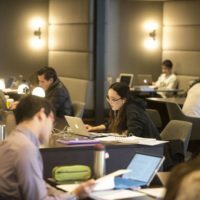 The Owen Graduate School of Management, which has been hosting Web chats for its prospective students for 10 years, also has been experimenting with the app, according to Bailey McChesney, senior assistant director of admissions. Periscope is well integrated with Twitter, so those who tweet can notify their followers of their video broadcasts. Anderson is encouraging the Vanderbilt community to use the hashtag #vandyscope.